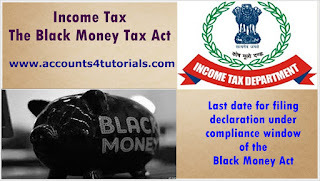 The Black Money (Undisclosed Foreign Income and Assets) and Imposition of Tax Act, 2015 (the Act) has been enacted to deal with the menace of black money stashed abroad. 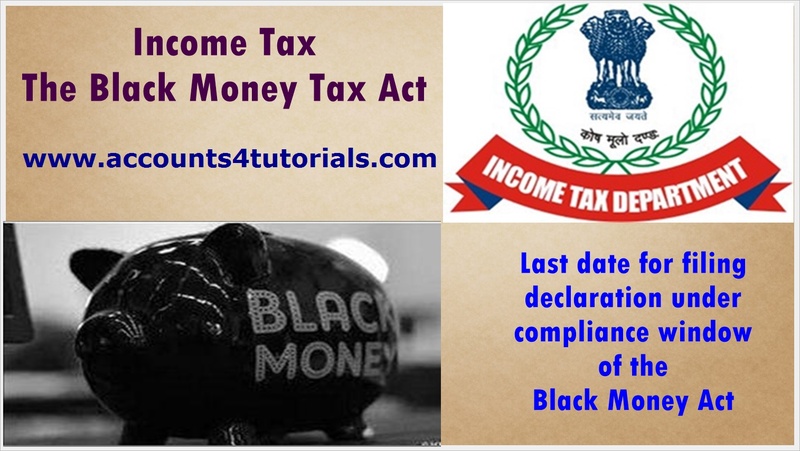 The Act provides for a one-time compliance opportunity which will end on 30th September, 2015. Failure to declare an undisclosed foreign asset will entail severe consequences under the Act, including higher penalty, prosecution, and may also result in forfeiture of assets under the Prevention of Money Laundering Act. Persons holding undisclosed foreign assets are advised to file their declarations well in time. The information contain in the declaration will be kept confidential as section 138 of the Income-tax Act is applicable to the declarations. The process of filing declaration is simple and the declaration can be filed online also. The fears of harassment of the declarants expressed in certain fora are unfounded.